Gionee S10B is yet another smartphone launched by Gionee for the China market. It's among the three variants of smartphones launched by Gionee. Gionee S10B features a fingerprint scanner, 4G LTE network, 5.5 inches screen size with multi-touch and runs on Android Nougat 7. Gionee S10B came along with a Dual 13 MP + 5 MP, phase detection autofocus, dual-LED (dual tone) flash back camera and a 16MP front facing camera with no flash light for the selfie lovers. 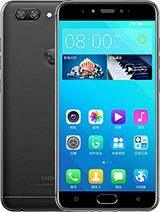 Kindly see more of the Gionee S10B specifications and price below. Price About 240 USD in United states / Nigeria N76,000 / China 1,647.